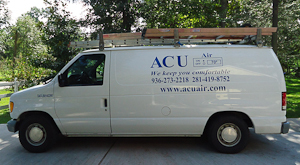 Located in The Woodlands, Texas, ACU Air Heating & Air Conditioning has provided reliable service to local residents and businesses since 1998. ACU Air’s friendly, professional staff strives to educate its customers about their cooling and heating systems so that they can efficiently cool and heat their homes and can make informed decisions when repairs become necessary. Locally owned and operated, ACU Air purchases all of its equipment, materials, and supplies from local merchants. ACU Air employees pride themselves on living up to the company’s motto, No matter the season, we keep you comfortable.